A living room is designed around the sofa while a dining room is designed around the dining room table. The Peyton Dining Table is sure to make a stylish statement in your dining room decor. 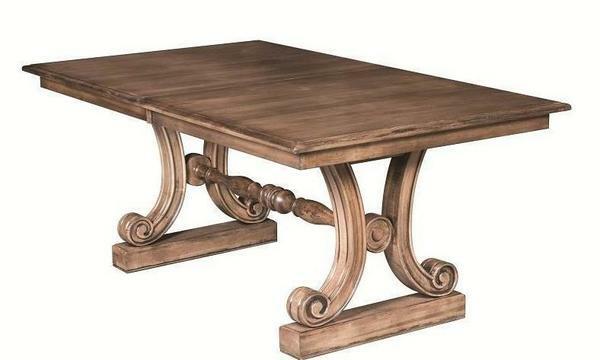 At DutchCrafters we offer a wide variety of dining table styles, selections and finishes for your home or business. Create your own memories around a new dining room table. Shown in Brown Maple with River Rock #57714 finish.